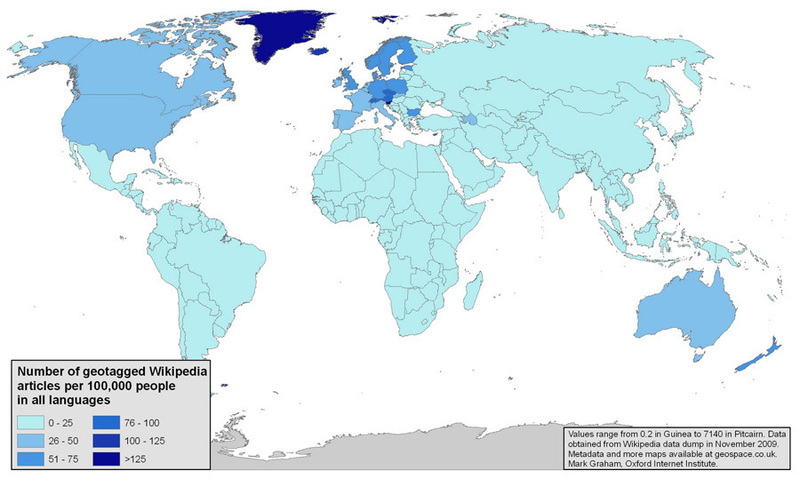 The blog Zero Geography has created a heatmap illustrating the total number of Wikipedia articles tagged to each nation that reveals surprising facts about the content, and oversight, of the online encyclopedia. Remarkably there are more Wikipedia articles written about Antarctica than all but one of the fifty-three countries in Africa (or perhaps even more amazingly, there are more Wikipedia articles written about the fictional places of Middle Earth and Discworld than about many countries in Africa, the Americas and Asia). The designer also found that the United States had the most number of articles (about 90,000), and that Anguilla had the fewest geotagged entries (just four). Here countries with small populations and large landmasses rise to the top of the rankings.Canada, Australia and Greenland all have extremely high levels of articles per every 100,000 people. 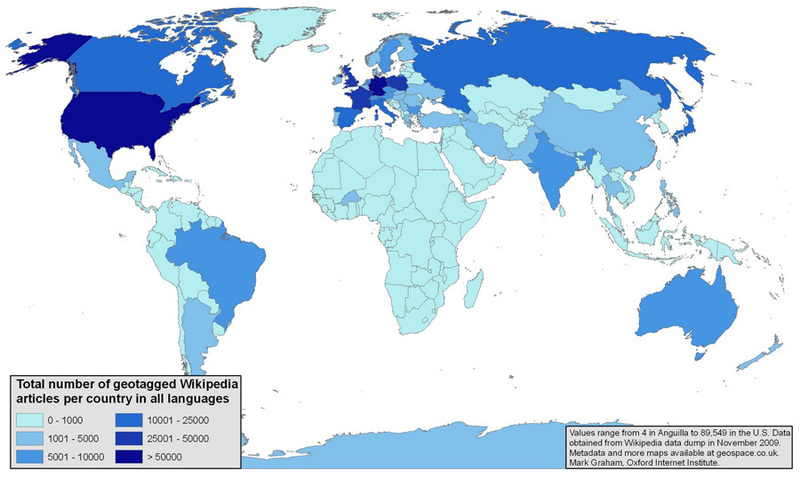 Read more about the Wikipedia maps, and how they were created, here. Follow HuffPostTech On Facebook And Twitter!